Conan Exiles (game, 2018). A survival video game by Funcom/Maximum Games. Developed by Funcom. Official Trailer. 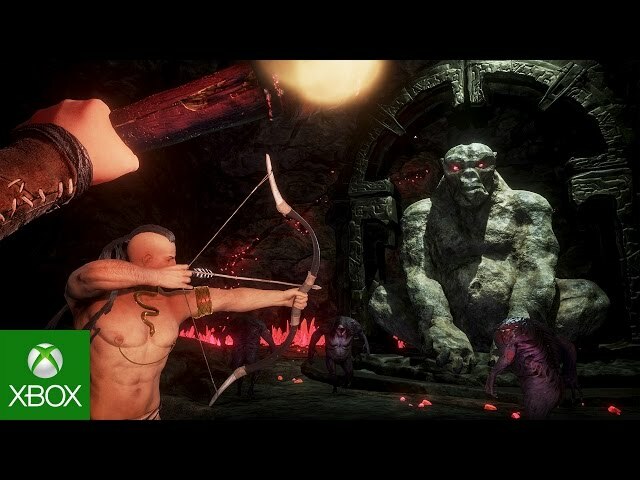 Conan Exiles is a survival video game by Maximum Games and Funcom, developed by Funcom. 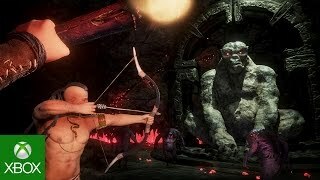 Conan Exiles - Announcement Trailer. The most basic premise of Conan Exiles is survival in the fictional prehistoric Hyborian Age. Player characters begin convicted of various crimes, sentenced to death, and are crucified under the scorching desert sun. The player is rescued by Conan, however, and as an exile must now navigate a harsh desert landscape, appropriately titled The Exiled Lands. Though large, this was initially the only biome available for exploration. The new update added a biome called The Frozen North. which added new elements to build, new armors and a whole new land to explore. It also added Star metal which is used to build strong armor and better weapons. An additional biome called "The Highlands" is expected to be released sometime during Q3 2017. According to Funcom community manager, Jens Erik, the finished game is expected to be around 53 km. Conan Exiles features a fair number of customization options such as gender, voice, and several physical attribute sliders for both head and body. Many races may be chosen from including, Cimmerian, Stygian, Hyborian, Nordheimer, and more. More controversially, sliders for both breast size and size of a male character's penile area are also available. More recently into the beta test phase, muscular definition has also been added. Religion plays an important role in Conan Exiles. Players may initially swear allegiance to one of four pantheon gods, Crom, Set, Yog, Mitra, or none at all. All of the religions can later be learned from NPCs in-game. NPC acolytes can be used to later choose or change allegiance to a deity. The most basic premise of Conan Exiles is survival in the fictional prehistoric, Conan the Barbarian world. Player characters begin convicted of various crimes, sentenced to death, and are crucified under the scorching desert sun. The player is rescued by Conan, however, and as an exile must now navigate a harsh desert landscape, appropriately titled The Exiled Lands. Though large, this is currently the only biome available for exploration. The new update added a biome called The Frozen North. which adds a new thing to building, new armor and a whole new land to explore. It also added Star metal which is used to build strong armor and better weapons. An additional biome called "The Highlands" is expected to be released sometime during Q3 2017. According to Funcom community manager, Jens Erik, the finished game is expected to be around 53 km2. Conan Exiles was scheduled to be released by Funcom and Maximum Games on May 8, 2018. The game had received M rating.